Almost a half million bricks and 5,000 hours went into building it! We adore the 2019 McLaren Senna. 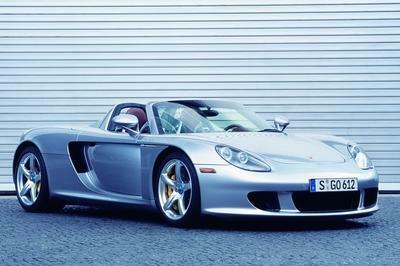 Named after the legendary Formula 1 driver Ayrton Senna, this supercar is an extreme track-ready two-door with cutting-edge active aero, a carbon interior, butterfly doors, active suspension, and tuned twin-turbo 4.0-liter V-8 making 789 horsepower and 590 pound-feet of torque. Properly motivated, the McLaren Senna can sprint to 60 mph in 2.7 seconds and breeze through the standing quarter mile in 9.9 seconds. 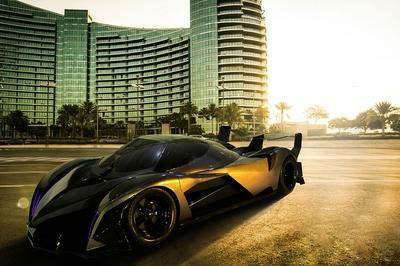 Top speed is rated at 211 mph. All told, the 2019 McLaren Senna is absolutely worthy of our adoration - and a full-scale model from Lego as well. 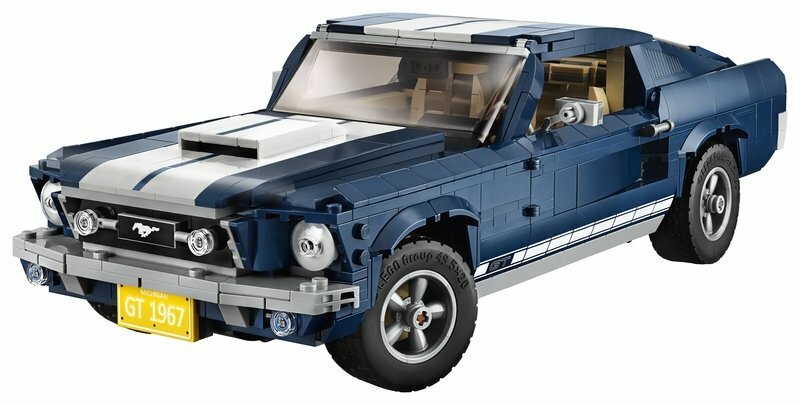 Note: McLaren Senna Lego model pictured on the left, 2019 McLaren Senna road car pictured on the right. Made to an extremely accurate 1:1 scale, this Lego’d McLaren Senna is hugely detailed. 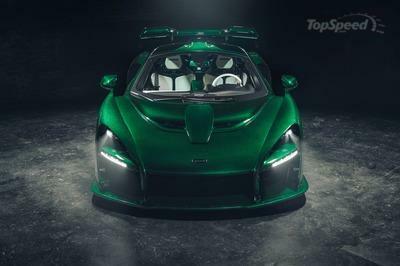 Forget simply opening the doors and peeking inside - you can literally sit inside this thing and start the “engine” with the push of a button, with inboard speakers emitting the real McLaren Senna’s exhaust note. This is definitely the best use of synthesized engine noises we can think of! 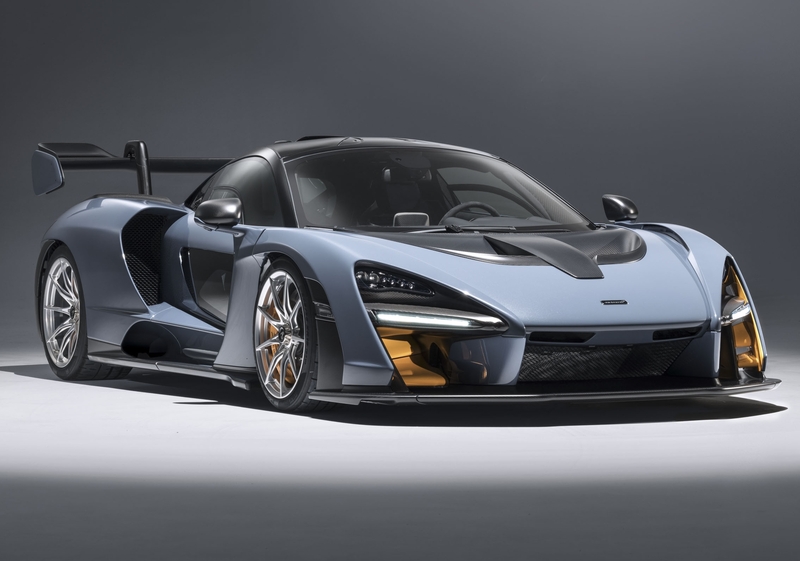 The model also comes with working lights and a working infotainment system, plus dihedral doors made from Lego bricks and a Victory Grey exterior finish with orange trim, all of which is ridiculously on point compared to the actual Senna road car. There’s a set of real McLaren badges, four multi-spoke wheels, and Pirelli tires, all of which are OEM equipment direct from the Woking brand. Note: McLaren Senna Lego model pictured here. What’s more, this is the first Lego model to include real interior bits from the actual car upon which it’s based. 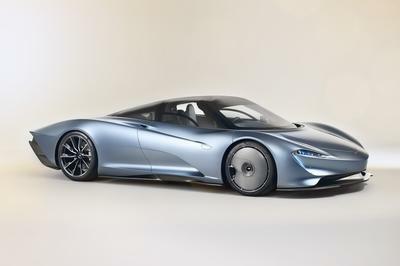 That means there’s a real carbon-fiber driver’s seat, a real flat-bottom steering wheel, and the actual pedal assembly from the Senna road car, all of which is integrated directly with the bricks. To build the model, Lego employed teams of ten “model-makers” working in shifts, with as many as 42 individuals chipping in to snap it together. Nearly a half million pieces and 4,935 hours later, and you have this masterpiece. To put that in perspective, each McLaren Senna road car requires just 300 hours to produce, casting the term “hand-built” in an all-new light. In fact, as Lego points out, McLaren could build a total of nine actual real-life McLaren Sennas in the same time it took to make this model! 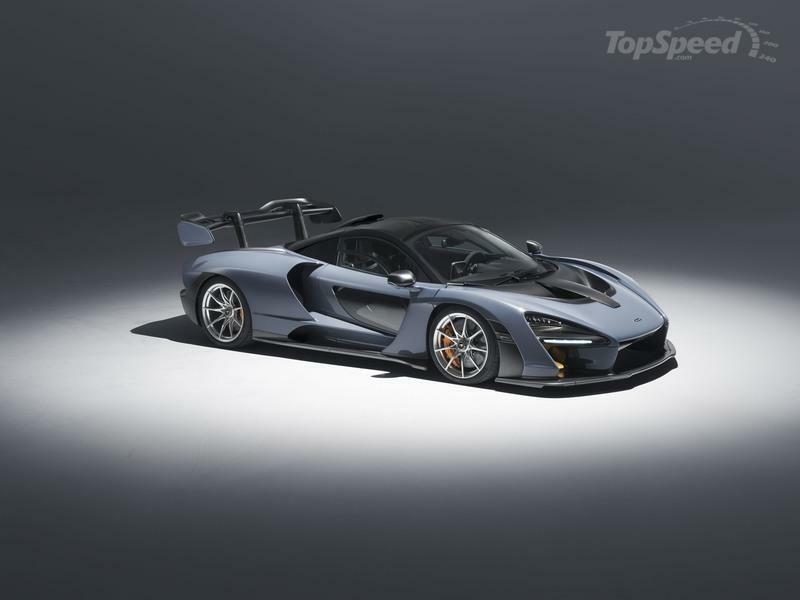 What’s more, the whole thing weighs in at 3,348 pounds, which is 1,102 pounds more than the actual McLaren Senna road car. Note: Lego McLaren 720S pictured here. This isn’t the first time we’ve seen an impressive 1:1 scale-model Lego recreation of a famous automobile. 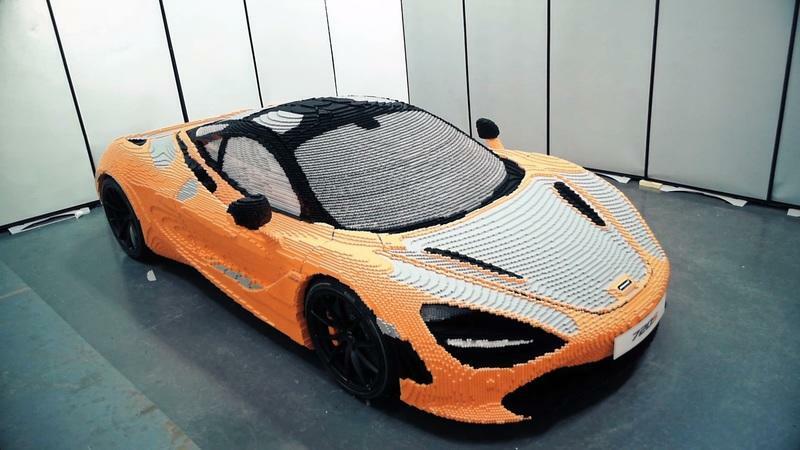 In 2017, Lego built a full-scale McLaren 720S, which took 10 Lego builders more than 20,000 hours to complete. The whole thing used some 287,262 bricks, and was built on a steel frame to stay upright, weighing in at 3,500 pounds. 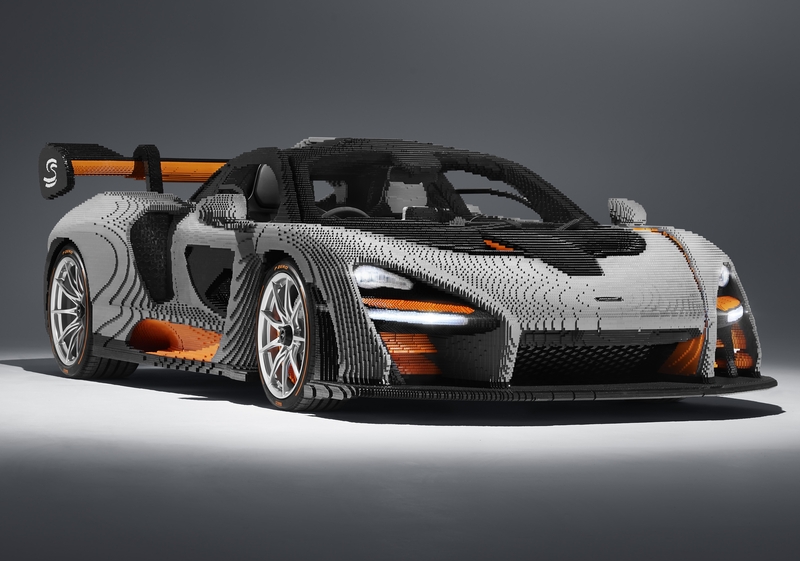 It’s likely the Lego McLaren Senna used the same construction method. The 720S also came fitted with a set of genuine McLaren wheels and Pirelli tires. 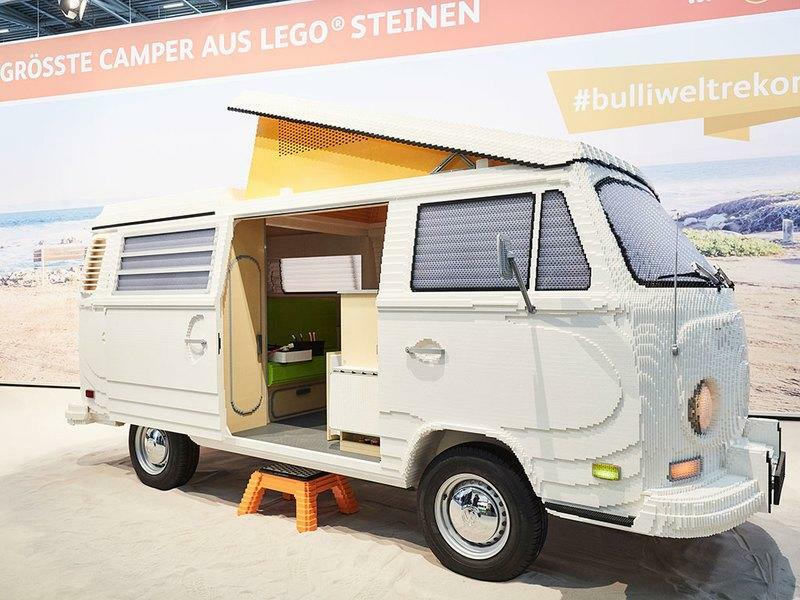 Note: Lego Volkswagen camper van pictured here. Another example is this VW camper van created by Rene Hoffmeister and Pascal Lenhard. This thing was much more in-depth than the 720S, requiring some 400,000 bricks to create. It’s also bigger than the van upon which it’s based, measuring in at 197 inches in length and 78.8 inches in width. As you’d expect, the details are all present and correct, including a sliding door and clear bricks for the windshield and lights. There’s even Lego’d versions of the interior bits, down to the benches, the sink, dishes, and a ton of other details. Surprisingly, the whole model weighs 1,500 pounds, which is 1,250 pounds lighter than the actual van. Note: Lego Bugatti Chiron pictured here. 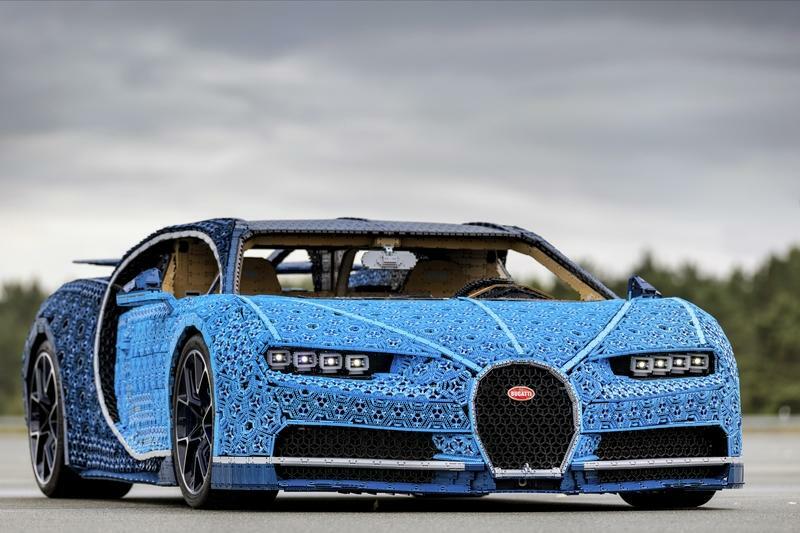 But we’d be remiss not to mention the most badass Lego’d car of them all - the Lego Technic Bugatti Chiron. Constructed from a whopping million+ individual parts and taking 13,438 hours to complete, this full-scale replica also includes a reproduction of the Chiron’s 1,500-horsepower W-16 engine. Even more impressive, the model is fully drivable thanks to a huge number of Lego Power Function parts, all of which combine to produce 5.3 horsepower and 68 pound-feet of torque. Yep, you can drive the Lego Chiron up to 12.4 mph. 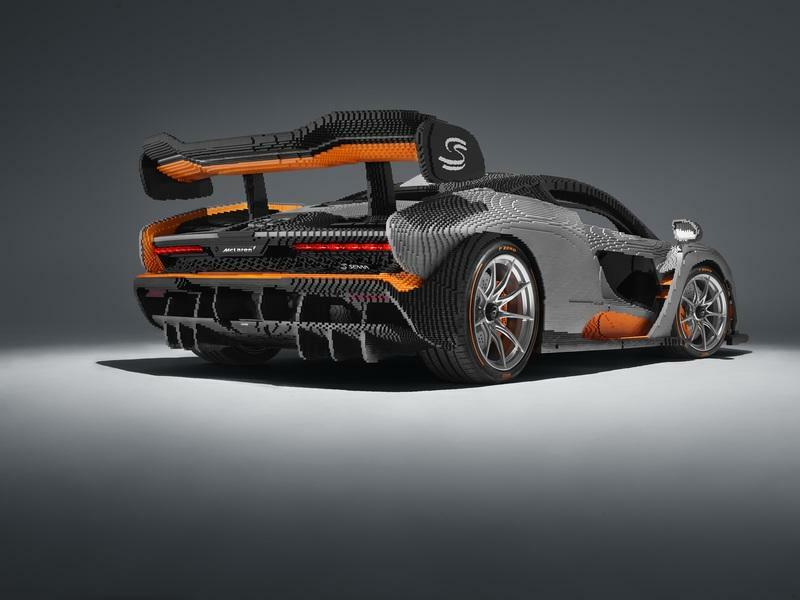 Be careful though, as this model weighs 3,307 pounds, which is still 1,100 pounds less than the real Chiron. 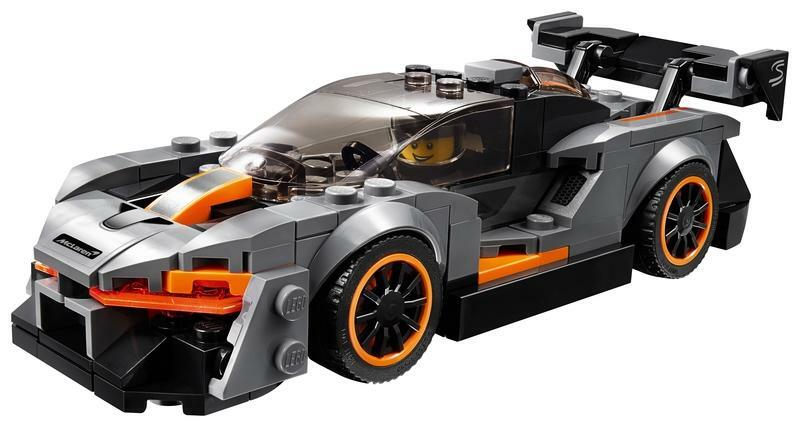 If that sounds a bit, well, intense, you can work your way up to the full-size recreations with the smaller Lego Speed Champions kits, which include standouts like the McLaren Senna, the McLaren 720S, Chevrolet Camaro ZL1 race car, Porsche 919 hybrid racer, and a whole lot more, all for about $10 to $20. 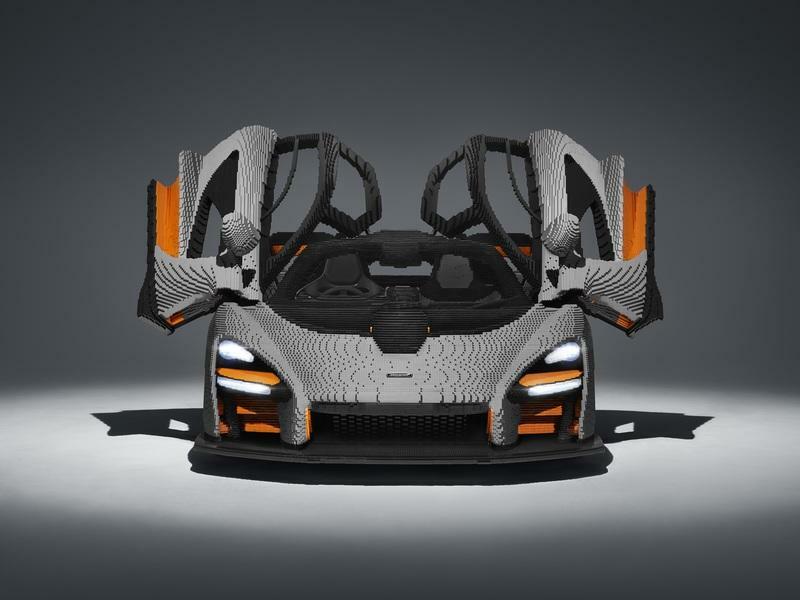 As for the full-size Lego McLaren Senna model, you can see it in its full bricked-out glory as it’ll go on tour at a number of events throughout 2019, including the Goodwood Festival of Speed in Sussex this July. 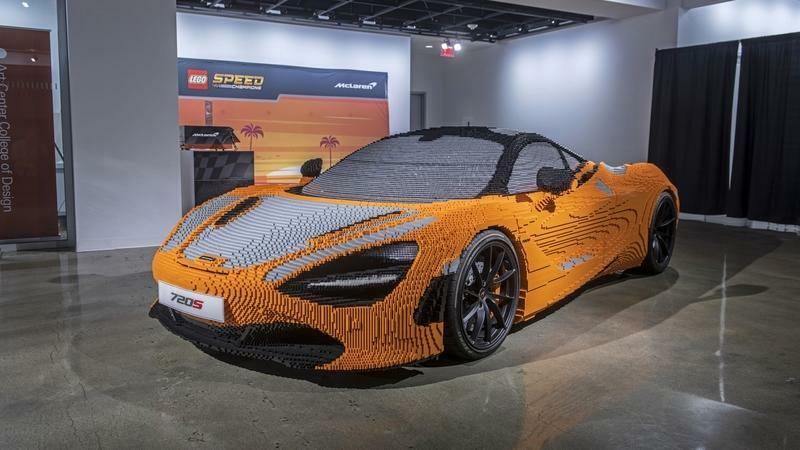 McLaren already has a full-size Lego 720S. Check out this full-size Lego Bugatti Chiron.